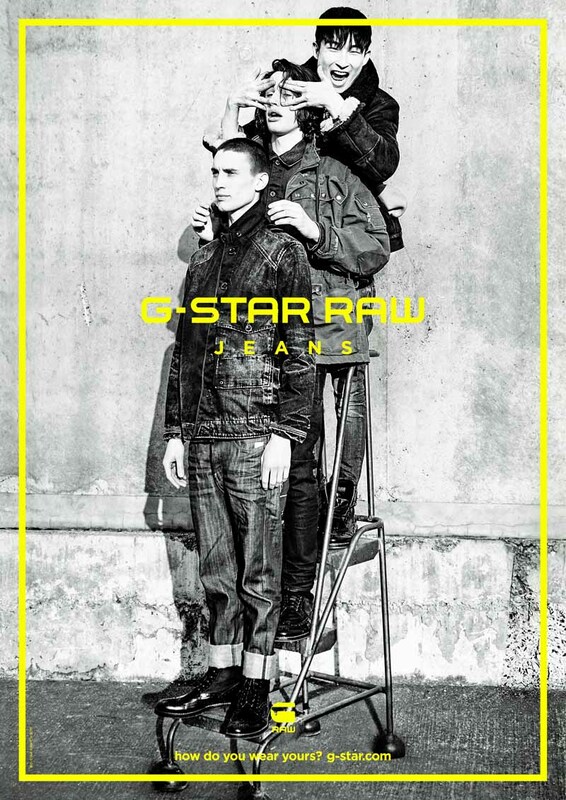 G-Star RAW and photographer Ellen von Unwerth have teamed up again for the denim brand’s Autumn/Winter 2015 campaign. This season sees the return of an intimate group of kindred spirits – bonded like brothers in uniforms of distinctive jeans and jackets. The campaign combines familiar faces of the brand with model Camilla Christensen returning following her appearance in G-Star’s Spring/Summer ’15 campaign, alongside new additions; Eden Bristowe, Liam Gardner, Sang Woo Kim, Karmay Ngai, Michael Sharp, and Zanna van Vorstenbosch. Von Unwerth’s raw, monochromatic style captures the texture and attitude of the jeans at G-Star’s core. 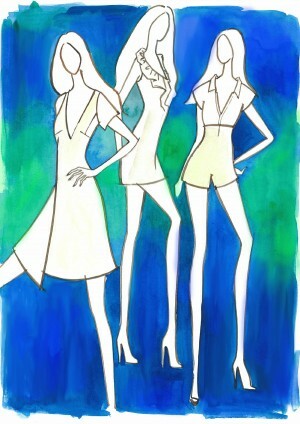 The group’s booted and laced-up style combined with a repetition in poses, amplifies the campaign’s military inspiration. From clean selvedge denims, to the latest in washing treatments, G-Star’s broad taste in jeans is apparent. Highlighted is the G-Star Elwood jean, the first style constructed using the 3D Denim method and enduringly popular since its release in 1996. Born from the techniques of motorcycle pants, unlike traditional flat patternmaking, 3D Denim uses additional leg panels to form around the body.